Brainshark helps companies improve sales productivity with sales enablement solutions to more effectively prepare and train employees, engage with key audiences, and advance business opportunities. When 60% of sales are lost to no decision, getting sales people to articulate why customers should move off the status quo, do something different, and do it with you can have a huge impact on sales. 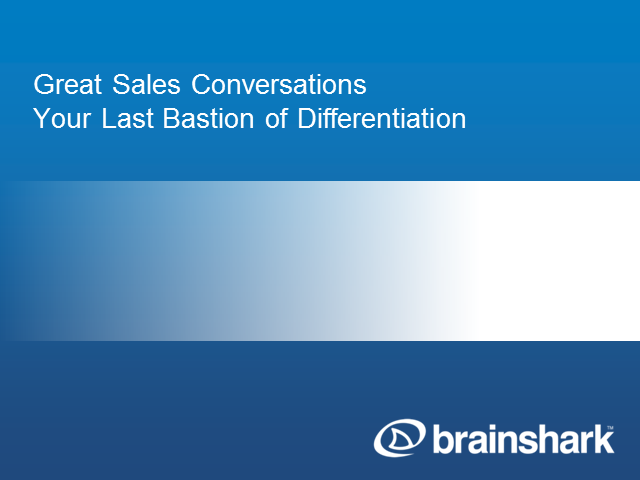 How can you enable your salespeople to deliver great customer conversations that differentiate your company from the competition, and move the sales cycle forward?